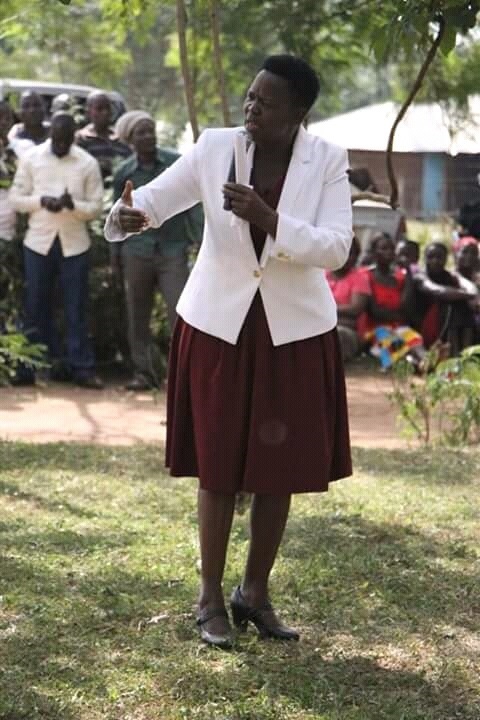 Home / Editor's Choice, Entertainment News, Featured Articles, Gossip and Drama, News, Politics / I know my husband is innocent and we shall succeed in this - OBADO’s wife issues statement over SHARON’s death. I know my husband is innocent and we shall succeed in this - OBADO’s wife issues statement over SHARON’s death. Friday, September 14, 2018 - Okoth Obado’s wife, Hellen, accompanied her husband for a presser on Wednesday where he distanced himself from Sharon’s death. She then posted this statement on her official facebook page concerning Sharon’s death. “I today, accompanied my beloved husband to issue a statement concerning the death of Sharon Otieno. We sent our heartfelt condolences to the family and friends of Sharon Otieno. You all know that yesterday my husband recorded a statement with the DCIO, Kisumu. In his words he said. "I want to state here clearly that I have absolutely nothing to do with the cruel death of Sharon Otieno and I want to urge all the agencies that are mandated with investigations to speed up their work so that the real killers can be brought to book. "I call upon our politicians and the media to avoid medieval punishments and proclamations so that our agencies that are charged with investigation are given ample time to do their job. "Finally, I want to say that I'm ready and willing whenever I will be called upon to give further statements so that the real perpetrators can be brought to book. I also want to urge the people of Migori County to stay calm and maintain peace because I know my husband is innocent and together in prayers, we shall succeed in this. Thank you and May God bless you all and may Sharon's soul rest in peace.